The HOG DAYS of SUMMER!!!! 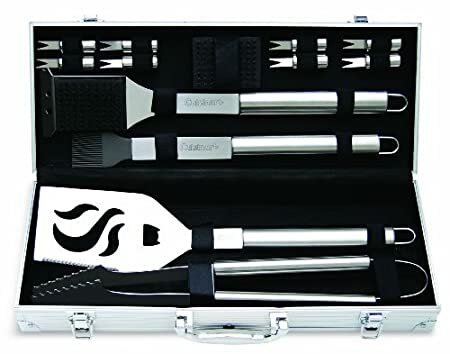 I guess if there was one definite difference between North Carolina BBQ and our cousins in Texas and Kansas city, it’s our tools. When I used to cook fancier cuisine, your tools would come from pricey culinary outfitters or restaurant supply shops. My straight carbon steel knives were forged in France and German. We used a mess of different tools from Japan to make plants look like little footballs, chocolate look like snowmen, etc. I even have a pair of scissors whose sole job is to snip the top off a quail egg – to garnish a jewel-like plate of tuna tartar of course. The funniest part of the Carolina tool kit is that most of it comes from hardware stores! So I’ll be writing a series of various different tools you can pick up for whole hog cooking. The most intimidating thing about cooking a whole hog is getting it prepped for cooking. Even the smallest pig I have ever cooked is larger than most people’s ovens. Even highly trained French chefs have difficulty handling the entire animal as my highly talented friends will attest. As you can see the top half is cleanly split, the collar covering the shoulders are removed and there’s no breastbone. 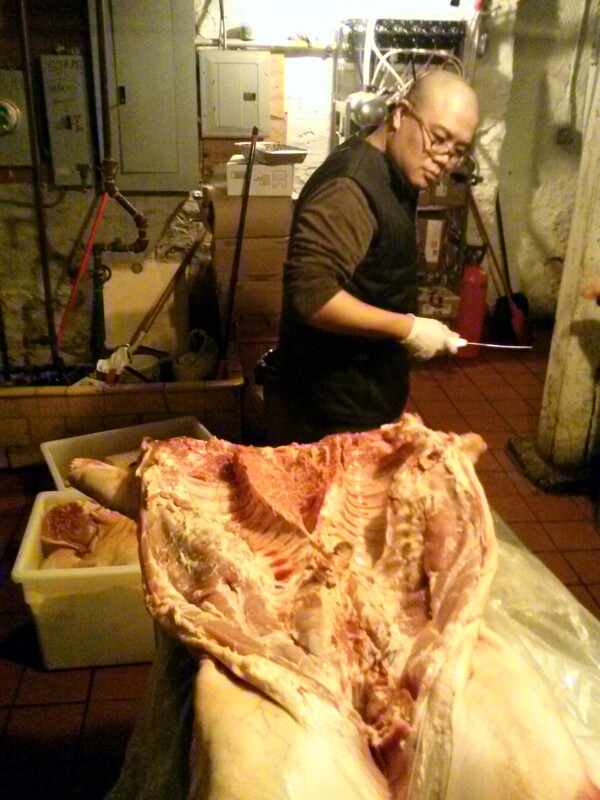 After this we split the lower half a little just flatten the hog out. Now the tool of choice here is the reciprocating saw. I use a Sawzall which is made by Milwaukee Tools. If you never seen a bunch of grown men try and split the hog’s backbone without the saw, you’re in for all manner of funny. The use of the tool was taught to me by some good ole southern folks down in Georgia and it has made my life INFINITY better. A pig is a powerful animal. It has lots of predators out there looking to eat it and it’s hell bent on not becoming chow. Hence the tusks and tightly compact body. So if you’re looking to butcher a hog for BBQ, it would be worth your while to stop by the local Lowes or Home Depot. Trust me, nothing will get your more frustrated than trying to split bone. It’s also great in removing the forearms and feet as well. Again if you’re really into seeing a hilariously macabre show, give a 240lb strong dude a cleaver and ask him to chop off the feet. You’d be surprise how little strength will help you here. Those tendons and sinew do their job really well. There is indeed a trick to cutting all 4 of them off in less than 3 mins but it requires a lot of practice. Unless you’re looking to cook as many pigs as I do, it’s not likely you’ll get too much practice – stick with the saw. Tomorrow we’ll talk about shovels. This entry was posted in North Carolina BBQ, Whole Hog and tagged How to cook a whole hog, North Carolina BBQ, North Carolina BBQ NYC, Whole Hog BBQ by The Arrogant Swine. Bookmark the permalink.